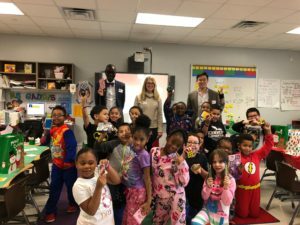 Armstrong Lee Savage partners, Megan Savage and Joshua Lee, participated in the Houston Trial Lawyers Foundation’s annual Holiday Party at Kennedy Elementary School. 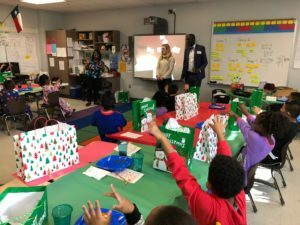 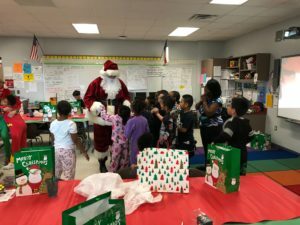 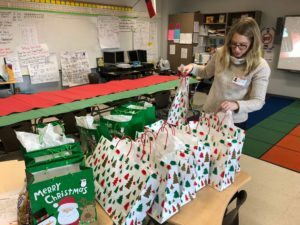 The Foundation sponsors the event to provide an opportunity for over 700 elementary students to participate in fun holiday festivities in their classrooms. 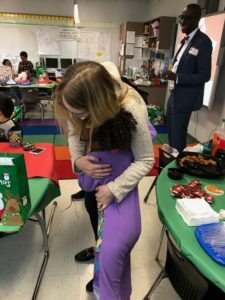 The lawyers who sponsor and volunteer at the event provide gifts, food, fun, and games to the children, which are appreciated by the children and teachers alike!